Woodhall Spa Airfield was located south-east of the village, off the B1192. It was a standard bomber airfield for 5 Group and opened in February 1942. Two T2s and a B1 hangar were provided, and the bomb stores were in woodland to the north. 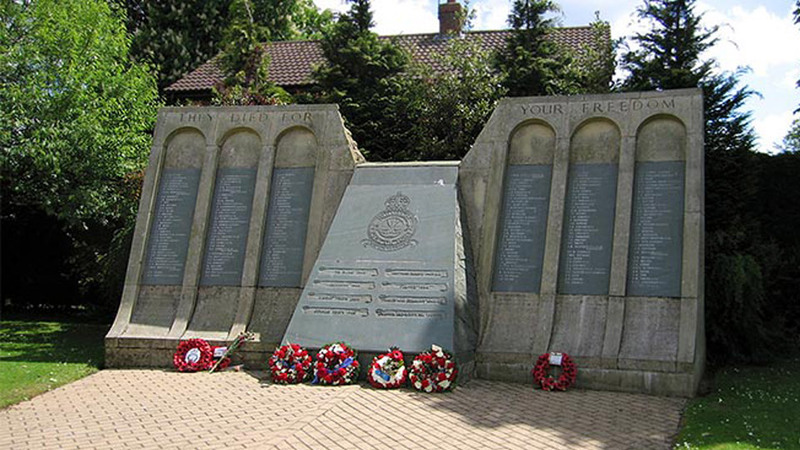 (Woodhall Spa memorial to 617 “Dambusters” Squadron. Pic: Keith Long). The first unit based ay Woodhall Spa was 97 Squadron which arrived from Coningsby on 2 March 1942, equipped with Lancasters. The squadron provided six aircraft for the M.A.N. diesel engine factory raid at Augsburg. They remained at the airfield until 18 April 1943 when they moved to Bourn, Cambridgeshire. Three crews from 97 Squadron remained at Woodhall Spa forming the nucleus of 619 Squadron, which came into being on 18 April 1943. Having built up to full squadron strength, 619 Squadron remained until 9 January 1944, when it moved to Coningsby, exchanging places with 617 Squadron. Joining 617 Squadron on 15 April was 627 Squadron, a pathfinder unit from Oakington, Cambridgeshire, equipped with Mosquitoes. In November 1944, the Lancasters of 617 Squadron joined those from 9 Squadron, Bardney at Lossiemouth to take part in Operation Catechism, the successful attack on the German battleship, Tirpitz. On 17 June 1945, 617 Squadron moved to Waddington, 627 Squadron was disbanded at Woodhall Spa on 30 September 1945. The day after, it was renumbered 109 Squadron and remained at the airfield until 19 October 1945, when it moved to Wickenby. Following the departure of 109 Squadron, flying at the airfield ceased and the site was retained for use as storage. 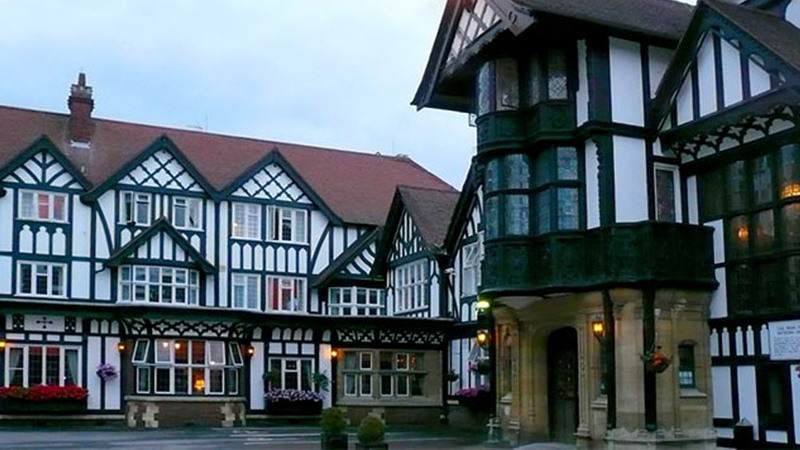 During the 1960s, 222 Squadron and 112 Squadron served at Woodhall Spa with Bloodhound surface-to-air missiles. Today, little of the original airfield itself remains. A section of the western perimeter track and a T2 hangar were retained and used by Coningsby as an engine facility until 2003. Some buildings exist on the technical site which is now private land. In Woodhall Spa village is a very impressive memorial to 617 Squadron. 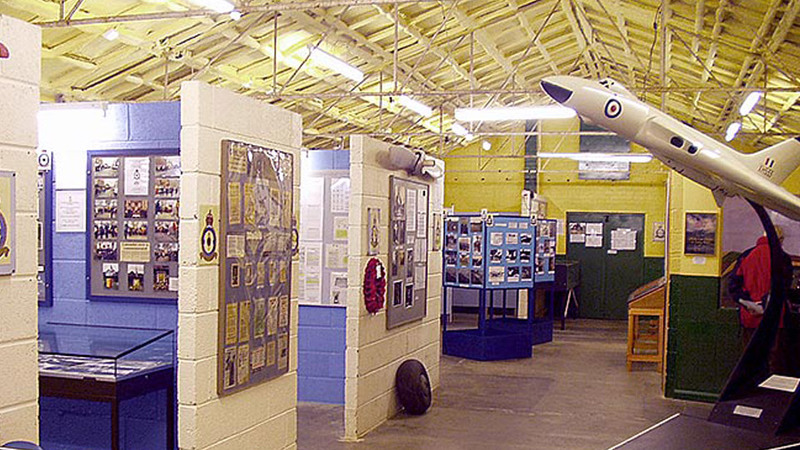 The former airfield communal site is now the home to Thorpe Camp Visitor Centre which uses a number of restored buildings as exhibition rooms. Also on-site is a small memorial garden, which commemorates all the Woodhall Spa-based squadrons.